Vietnam is an ancient and beautiful land, with a deep history of occupational conflict that remains an enigma in Americans' collective memory. It is still easy to forget that Vietnam is a country and not a war, even as America's role in Vietnam inflamed and divided the American citizenry in ways that are still evident today. It is as if Vietnam's civil war resurrected our own. And if you are a Vietnam War veteran or a family member of a vet, it's worse, because, even after a half-century, many of the wounds won't heal. What do you do when you have given up on forgetting? Chuck Forsman is one of a sizable number of aging Vietnam vets who have found deep satisfaction in revisiting Vietnam, supporting charities, orphanages, and clinics, doing volunteer work and more—anything to redeem what the U.S. military did there. He is also a renowned painter and photographer who depicts places and environments in ways that become unforgettable visual experiences for the contemporary viewer. Lost in Vietnam chronicles a journey, not a country. They were taken on visits averaging two months each and two-year intervals over a decade. 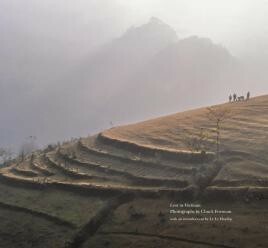 Forsman traveled largely by motorbike throughout the country—south, central, and north—sharing his experiences through amazing photographs of Vietnam's lands and people. His visual journey of one such veteran's twofold quest: the one for redemption and understanding, and the other to make art. The renowned Le Ly Hayslip introduces the book and sets the table for Forsman's incredible sojourn.